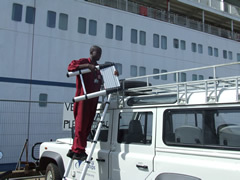 In 2008 Safelincs donated vehicle extinguishers and telescopic ladders to Mercy Ships, a global charity operating a fleet of hospital ships and land-based programmes bringing medical aid and the hope of long term sustainable development to some of the world’s poorest regions. 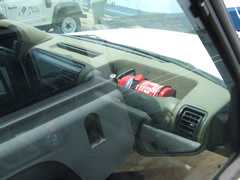 Earlier this month one of these extinguishers was dramatically called into action when a fire broke out in one of the Land Rovers operated by the charity in the Congo. Quick thinking by one of the Mercy Ships workers, who was passing the vehicle on its way out of port, allowed the fire to be quickly extinguished. 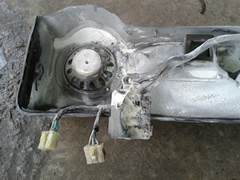 An official from the charity stated that without this prompt action there could have been injury to the patients on board and the vehicle would probably have burnt out.